We’d love your help. 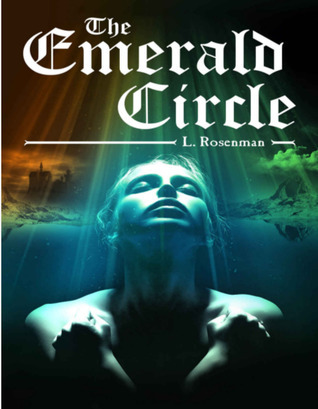 Let us know what’s wrong with this preview of The Emerald Circle by L. Rosenman. To ask other readers questions about The Emerald Circle, please sign up. The Emerald Circle by L Rosenman has 21 chapters. There is an advice from the author for everyone right in the beginning. In the acknowledgment section. It goes like this - "Pay close attention to our reality... it contains other, hidden layers. And pay attention to your children. Guard them as if they are the apple of your eye". What a wonderful quote it is. This story is of a 5-year-old girl. While she sleeps in the car of her kidnapper, he reports the successful kidnapping of this girl to Kurt. Kurt is in his forties and reaches Zagreb Airport in Israel in his Toyota Landcruiser. He is as powerful as his strong SUV. He directs the kidnapper to keep the child with him until evening when he comes back to pick her up. There is a gripping storyline in store for the readers of this interesting book. You can read the review of The Lost Bible by L Rosenman Is A Suspenseful Ancient Romance Story to understand the intensity of her engrossing writing style. The Emerald Circle is the story of a storm that shatters the scent of peaceful childhood breathing at Lynn's house. Lynn has two daughters. Gaya, 12. And Eden, 5. On that fateful day of Eden's kidnapping, Lynn drops her at Kindergarten. She requests Sarah, Lisa's mother to pick Eden from there along with Sarah. Lynn would pick Eden from Sarah's place in the evening. And that is when, in the evening, Lynn gets a call from Sarah. Sarah tells her how Eden has vanished from the playground, right in front of her and Sarah, in the spur of a second. Now, it is a tough call for Lynn and Joe. Joe is Lynn's husband and the two girl's father. Imagine the horror if your child is kidnapped and taken to an undisclosed location. It is kind of a fortress where they are trained to be abused. Lynn and Joe daughter is kidnapped and taken to a fortress. She is totally broken and vows to get her back. She goes undercover and enter the fort as a prostitute (yes they do that). She has to take hormones and keep track of her Menstrual cycle. There a person named Jaspeth helps her. Her husband Joe is trying from outside to get them freed. Will they Imagine the horror if your child is kidnapped and taken to an undisclosed location. It is kind of a fortress where they are trained to be abused. Lynn and Joe daughter is kidnapped and taken to a fortress. She is totally broken and vows to get her back. She goes undercover and enter the fort as a prostitute (yes they do that). She has to take hormones and keep track of her Menstrual cycle. There a person named Jaspeth helps her. Her husband Joe is trying from outside to get them freed. Will they be successful? The premise of book is interesting but it is improbable. It seems like very old but who knows. There might be some secret organisations like that who in name of research does all kind of shady things. This is a onetime read but the editing could have been tighter. The Emerald Circle definitely fits into the genres of books I like: paranormal mixed with mystery. When a five-year-old goes missing, her parents are willing to do whatever it takes to get her back – although each of them has their own method to do it. As the clock is racing, the mother infiltrates into a secret organization, and the father tries to help his family from the inside-out. The book skips between both views, giving the reader and over-reaching view over the entire story. Author L. Rosenman weaves a suspenseful story with intriguing twists and turns that will easily captivate the reader's attention from the beginning. The author paints a gripping and absorbing mystery thriller in a very vivid and convincing way. In addition, the characters are drawn with great credibility and integrity. The book description gives a preview: ‘A five-year-old child is kidnapped near her home in a small town in northern Israel. The secret behind her disappearance forces her parents to face a terrible crisis. Mutually suspicious, they embark separately on an emotionally and physically life-changing quest to find their daughter. Now, if that’s not enough to get your curiosity juices flowing, I don’t know what will. But if you want to find out what happens, you’ll just have to turn the pages for yourself! However, I will say it was well worth the read. It’s my second time reading this author and I must say I was very impressed yet again. I previously read her excellent paranormal adventure/romance novel, The Lost Bible. The Emerald Circle flows from scene to scene with ease, and the author shows exceptional ability when it comes to storytelling. It’s one of those books that come along occasionally that makes you want to read it non-stop until you get to the end. I’m giving nothing further away here. And this, I hope, will only add to the mystery and enjoyment for the reader! A highly recommended read and a well-deserved five stars from me. Looking forward to reading more from L. Rosenman in the future. The Emerald Circle by L. Rosenman is a paranormal thriller that hooks the reader right from the beginning. The story has been woven so interestingly that once you pick up the book, you don’t intend to leave it until you finish reading the last page. The sudden twists and turns make the read all the more intriguing. The story deals with the kidnapping of a five-year-old child and its aftermath on her parents. The narration style is lucid & beautiful and the flow of events seem effortless. The The Emerald Circle by L. Rosenman is a paranormal thriller that hooks the reader right from the beginning. The story has been woven so interestingly that once you pick up the book, you don’t intend to leave it until you finish reading the last page. The sudden twists and turns make the read all the more intriguing. The story deals with the kidnapping of a five-year-old child and its aftermath on her parents. The narration style is lucid & beautiful and the flow of events seem effortless. The language is simple and easy to comprehend. The character building is done perfectly and all the characters have been developed well that contribute to the story. The cover and the title also succeed in attracting the attention of the potential readers. They are absolutely apt considering the story of the book.